Everyone lives within a network of social interaction, social support, and community and national resources. Most of our daily social interactions are with family, friends, and work colleagues. These daily social interactions are made possible by the community supports that enable a person to obtain clean water, adequate sanitation, housing, food, clothing, work, education, finances, and medical care. Community structures are generally made possible because of the support of the country or nation. National resources support the entire infrastructure of the civilization, from roads to a monetary system to constitutional protections. In general, stable social systems at different levels tend to provide the greatest buffers against crises or disasters of all types. A patient's social system can be represented by an ecological map (see Case Study 3 and review Figure 45-3). Often, a patient goes into a crisis because the immediate social environment is threatened or disrupted by such issues as divorce, a dysfunctional family, drug abuse, unemployment, or an eviction notice. Relative damage to a local support network can have profoundly varied effects on a patient. For example, the death of a spouse produces a more severe crisis if the deceased was also the sole financial provider. Even a minor disturbance in a small or dysfunctional support network can produce a major crisis. For example, an elderly woman who is housebound and without family, friends, or a telephone can experience a major crisis when her home health aide misses a scheduled visit. When assessing the local support network of a patient, a family physician should consider whether the patient's network is interested, available, and competent to help. 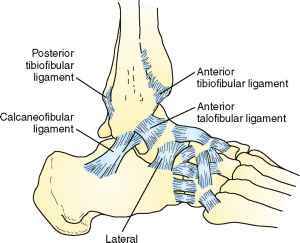 Some networks are helpful and should be included, whereas other networks may be harmful to the patient. This determination may be especially complicated in IPV cases where a marital separation is necessary but results in the woman needing to face financial stresses, loss of her home, and the loss of her social network. When a patient is in a crisis, the family physician can help the patient choose and mobilize the most helpful people in the patient's immediate support network and exclude others. Such helpful mobilizations may include calling in a specific family member, speaking to a supportive boss, helping the patient retain an attorney, establishing health care, or obtaining Medicaid. In general, social disruptions at the local level of support (e.g., job loss) are less damaging than community level disruptions (e.g., tsunami). National disruptions such as wars or earthquakes in poor countries cause a devastation from which many never recover. Disasters are long-lasting when the needed resources remain greater than the available resources. During a disaster, the social structure of a society can be damaged to such an extent that the existence and functioning of the entire community or nation are threatened (Eranen and Liebkind, 1993). This is the experience of Hurricane Katrina in 2005 and the earthquake in Haiti in 2010. Disasters of this magnitude require local, state, national, and even international support if there is to be a chance of restoring the social integrity of the community to the predisaster level of functioning. 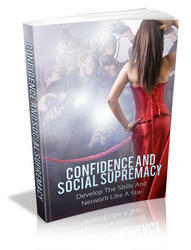 Surefire Ways To Build Up Your Confidence As Well As Be A Great Networker. This Book Is One Of The Most Valuable Resources In The World When It Comes To Getting Serious Results In Building Confidence.